Winter means different things to different people. While most of our cabin rental guests are content with skiing, snowshoeing and hiking in and around our 60 acres of natural beauty, other guests want to venture out on their snowmobiles. 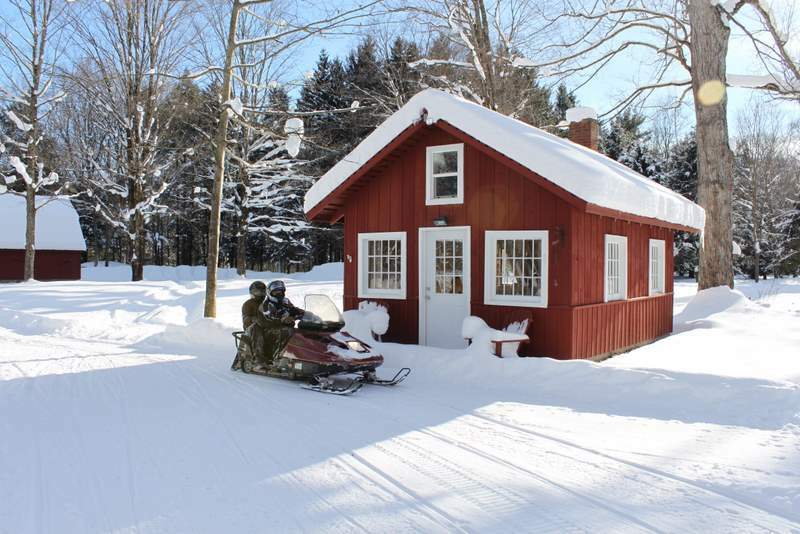 Since our cabins are only about 1 mile from the main snowmobiling trails that connect much of Upstate NY and Central New York, we often host guests from all over the Northeast who bring their snowmobiles along and explore hundreds of miles of groomed snowmobile trails. Photo: Guests heading out on their snowmobile from Thoreau's cabin which has a beautiful fireplace and woodstove to keep you cozy after a winter adventure. 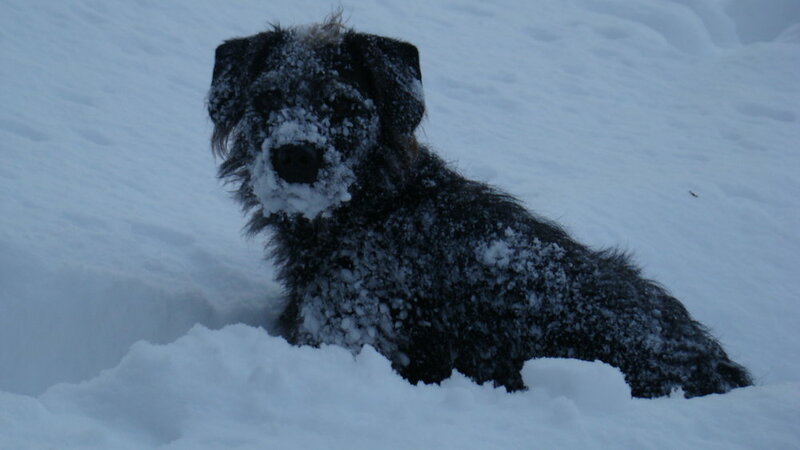 One of the treasures of Winter at Wellnesste Lodge and Cabin Rentals is having friendly dogs of all shapes and sizes around. So many guests come to visit our cozy cabins from all over the Northeast and bring their puppies to goof off in the great outdoors.